The CBI action in West Bengal rocked the proceedings of boththe Houses of Parliament today forcing their adjournment for the day. When theRajya Sabha re-assembled at 2 p.m. after first adjournment, the members fromTMC, SP and others again trooped into the well raising slogans against thegovernment over CBI action against the State Police Commissioner inKolkata. Some ruling BJP members were also on their feet on the sameissue to counter the opposition charges. Amid noisy scenes, Chairman M VenkaiahNaidu adjourned the House for the day minutes after it met. Earlier in themorning TMC-led Opposition created uproar over developments in West Bengal dueto CBI action. TMC MP Derek O’Brien raised the issue, alleging that the CBIis being misused by the Centre for political reasons. He was joined by otherOpposition parties, including Congress and RJD. As pandemonium prevailed,the Chairman had adjourned the House till 2 p.m. The scene was no different in the Lok Sabha when it metpost- lunch after second adjournment . TMC, Congress, RJD, SP and other parties raised the CBI issue, with members trooping into the welland shouting slogans against the government. Some Congress members werealso in the well over the Rafale aircraft deal. Speaker SumitraMahajan urged the agitating members to go back to their seats and allow theHouse to function. Parliamentary Affairs Minister Narendra Singh Tomar alsoappealed to the members to allow the House to take up the business but theprotesting members did not pay heed. Later, the Speaker adjourned the House forthe day. Earlier in the morning the Lok Sabha witnessed two adjournmentsover the CBI row. 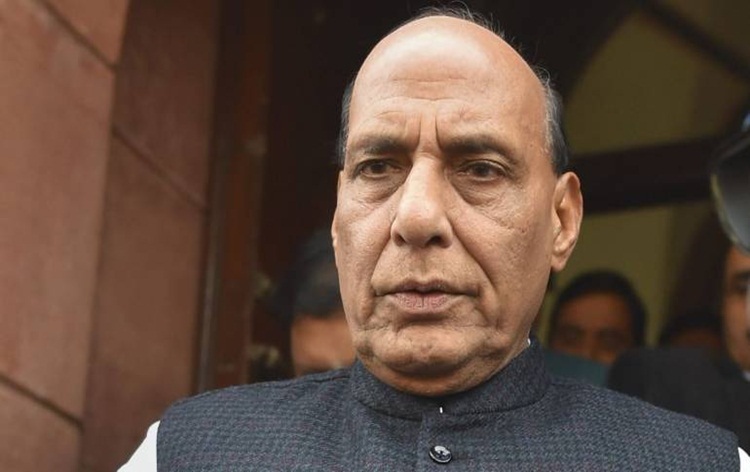 During the zero hour, Home minister Rajnath Singhdefended the defended CBI action against Kolkata Police Commissioner ashe was not cooperating in the Saradha chit fund scam probe .